Afghanistan agony haunts November 11, 2010 .. 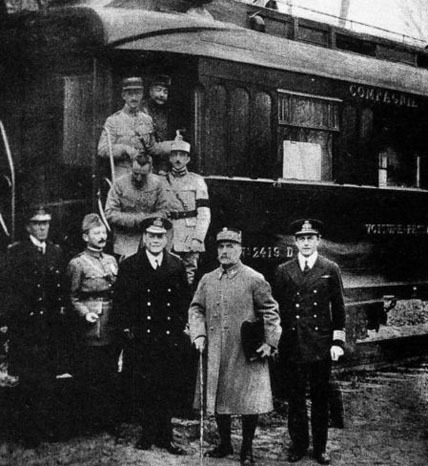 According to the sometimes (if of course far from always) quite good Wikipedia, “‘O Valiant Hearts’ is a hymn remembering the fallen of the First World War.” And, technically so to speak, the at least beginning of the end of the First World War in a railway car at Compiègne, France, on November 11, 1918, is what we in Canada and other such places will be respectfully commemorating tomorrow, some 92 years later. It seems another sign of the times to try to pretend that the already over-extended international conflict (aka “occupation”) in Afghanistan today is somehow on the same wavelength as the First and Second World Wars. Yet while all who die for our country certainly deserve our equal vast respect and gratitude, “156 Canadiens y ont perdu la vie jusqu’ici” in Afghanistan (some say 152: presumably the difference involves strictly military and war-related civilian deaths?). There were, according to Wikipedia again, 66,944 Canadian deaths in the First World War (of both sorts), and 45,400 in the Second World War — even though neither conflict went on at all as long as the one in Afghanistan has now. 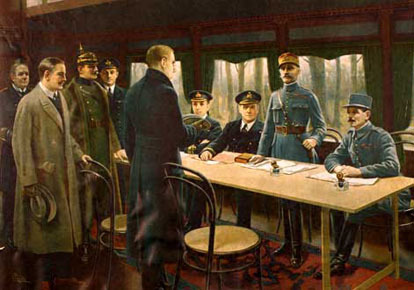 Colorized photograph inside Field Marshall Foch’s railway car at Compiègne, November 11, 1918. From left to right: German Admiral Ernst Vanselow ; German Count Alfred von Oberndorff of the Foreign Ministry ; German army general Detlof von Winterfeldt ; British naval captain J.P.R. Marriott ; head of the German delegation and member of the Reichstag, Matthias Erzberger ; British Admiral George Hope ; British First Sea Lord Sir Rosslyn Wemyss ; Field Marshall Foch ; and French general Maxime Weygand. Whatever else, as these numbers make clear, the collective magnitudes of sacrifice are not even remotely comparable. But part of the logic behind the current attempt to make Afghanistan and the two world wars appear at least in some respects vaguely similar, no doubt, is an increasingly broad consensus — among more and more of our various ruling elites — that the Canadians, like the British and the Dutch and the Poles and other stalwart allies of the United States, are just going to have to stay the course in the mission to somehow save the not-so-popular Hamid Karzai Afghan government from itself, a little while longer. Lengthening Canadian Forces’ stay in Afghanistan until 2014? Ordnance depot, Harold Beament (1898-1985): “an attempt to produce the sensation of 'all Hell breaking loose' which arises when trouble has begun in an ordnance depot.” Undated Second World War, Beaverbrook Collection of War Art, Canadian War Museum 19710261-1041. For some time, even the Harper Conservative minority government has been saying that, come hell or high water, Canada would be out of Afghanistan by next year. 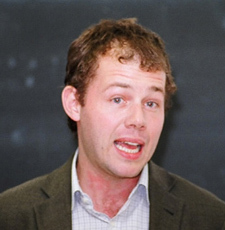 Christopher de Bellaigue, lecturing at the University of California at Los Angeles, February 2005. 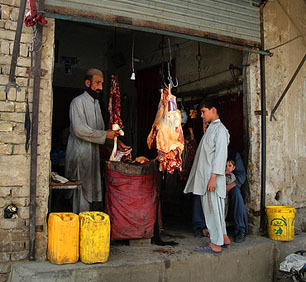 Life continues in Kandahar province despite challenging security circumstances. Every day, this man sells meat at the market. June 2010. Old doubts remain: why are we in Afghanistan again? Before Zero Hour, Alex Colville (b. 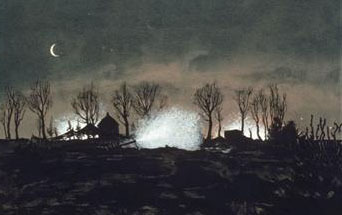 1920): “"I arose at 0500 hours on 8 February ... and I watched medium guns firing the barrage that preceded Operation Veritable ... part of the battle for Normandy.” Painted in 1945, Beaverbrook Collection of War Art, Canadian War Museum 19710261-2031. Personally, I continue to have a lot of sympathy for the views of we ordinary Canadians, who are interested in and concerned about our country’s foreign policy, but are not military or diplomatic experts, and have never visited Afghanistan ourselves. As I write, the online edition of the Halifax Chronicle Herald is asking interested readers: “Should Canadian troops remain in Afghanistan in any role after 2011?” As of 12:30 PM, Wednesday, November 10, 2010, 74% of almost 4,000 respondents are answering “No.” Only 26% of this sample, in other words, would support the kind of “lengthening the Canadian Forces’ stay in Afghanistan until 2014, rather than the proposed exit date of July 2011,” that Stephen Harper’s minority government in Ottawa is now considering (with potential support in principle from the Liberal official opposition). Canadian Capt. 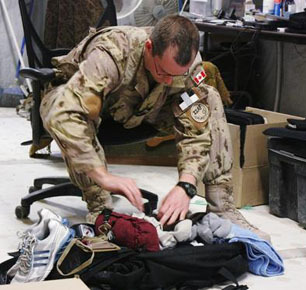 Yves Desbiens, a media liaison officer, sorts and catalogs the personal effects of slain Canadian journalist Michelle Lang in the media tent at Kandahar Airfield in Afghanistan on Saturday, January 2, 2010. Desbiens helped arrange the excursion for Lang in which she and four soldiers were killed by a roadside bomb on December 30, 2009. AP Photo/The Canadian Press, Colin Perkel. To me, this isn’t just war weariness on the part of the democratic majority. It’s also the sort of common sense that makes the concept of vesting ultimate sovereignty in we the common people a recipe for ultimate political success (or, as Winston Churchill is alleged to have once described democracy: “the worst system of government, except for all the others”). 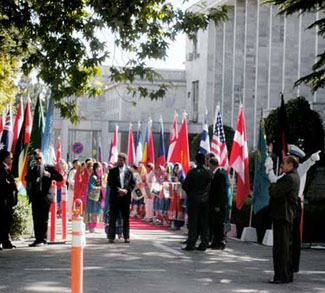 Delegates are greeted at Kabul International Conference on Afghanistan, July 2010. Obama’s war now: a final more subtle and tricky political argument? 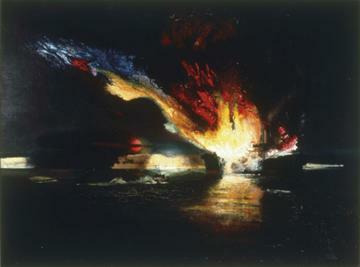 Light coastal forces blow up an enemy merchantman, Richard Eurich (1903-1992). 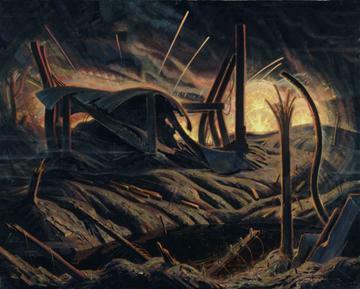 Painted in 1943, Beaverbrook Collection of War Art, Canadian War Museum 19710261-6082. So … for the most part, the altogether serious “international terrorists” have already left Afghanistan. Why are we still there? It is next door to Pakistan, but if that’s the point why not do something directly about Pakistan — or concentrate on the current big action in Yemen, and leave at least Afghanistan alone? Scepticism on this front may account for the results of the Globe and Mail’s own recent online poll, alongside its editorial on “The job in Afghanistan is not yet done.” This more specifically asked “Should Canadian troops remain in Afghanistan past 2011 to conduct non-combat training missions?” As of the last update on “Wednesday, Nov. 10, 2010 1:05 PM EST,” only 37% of less than 3500 respondents had answered “Yes.” Here as in so many other current opinion polls, a convincing enough majority of Canadians (63%) continue to believe Canadian forces should leave Afghanistan next year, as planned. As for what the Globe and Mail editorial calls “rebuilding the country,” what can that possibly mean? Is it about the Taliban, which while not at all the same as al Qaeda , is certainly something that I don’t want to have anything to do with myself, here in Canada, where I live and of which I am a proper citizen, etc.? 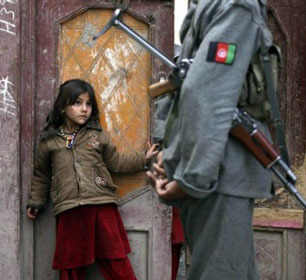 An Afghan girl looks out from her doorway at an Afghan National Army soldier searching an area used recently as a firing position by Taliban militants, during a joint US-Afghan patrol in the Pech Valley, Kunar province, northeastern Afghanistan, January 2010. AP Photo/Brennan Linsley. But again de Bellaigue tells us: “The parliamentary elections of September 18 were severely tarnished by Taliban intimidation of voters, including bombings and other attacks on polling stations, allegations of major fraud, and a much lighter turnout than last year’s scandalously manipulated presidential election.” Yet: “With or without the Taliban, Afghan society is deeply conservative and patriarchal, and it will take years of patient effort before it becomes less so.” How can it seriously be any reasonable responsibility of Canadians to make this effort — even if there are a few Afghans who may actually want our help? Isn’t this Afghanistan’s own struggle? Would we want Afghans (and perhaps Pakistanis too, and other such allies?) occupying Canada with armed troops and trying to tell the cross-country English-speaking majority how to deal with the French-speaking majority in Quebec? 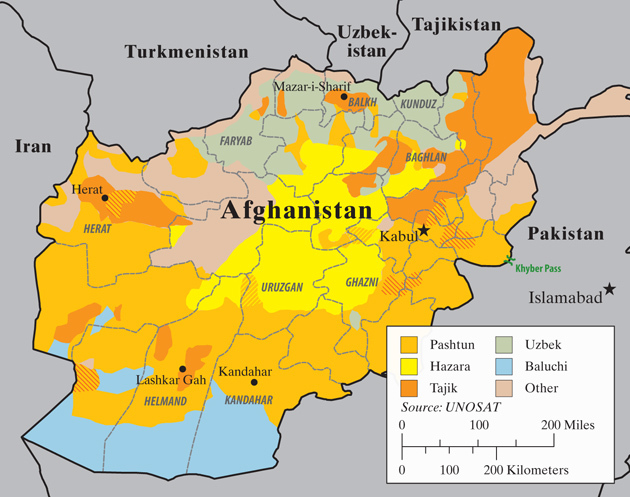 An approximate map, based on UNOSAT data, of Afghanistan's major ethnolinguistic groups; striations, or lined patches, indicate mixed areas. Mike King, New York Review of Books. Yet from the standpoint of raw political analysis — at least trying to predict what will likely enough happen — my guess would be that there is a very good chance the lengthened-stay policy will be in place soon enough. Or, in the current circumstances of Canadian federal politics, anything that both Stephen Harper and Bob Rae agree on (and Michael Ignatieff as well of course) is very likely to actually happen. And if this does prove to be the future, I will just hope more fervently that it somehow does help Barack Obama to get the USA out of Afghanistan soon enough — and get re-elected in 2012. 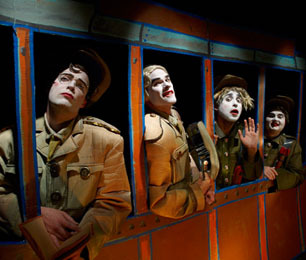 Meanwhile, as a kind of in-person bow to both Remembrance Day 2010 and Canada’s role in Afghanistan, last night I attended, along with some history-minded colleagues, the current revival of “The Great War, 1914–1918 … one of Michael Hollingsworth’s remarkable, 21-play series called ‘The History of the Village of the Small Huts,’ charting the history of Canada” — at the back of the Cameron House in Toronto. 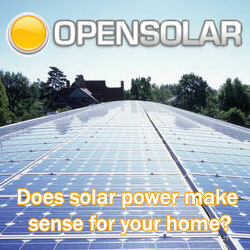 I enjoyed it more than I thought I might — and found it more instructive and illuminating too. I have seen other plays in the series in the past. 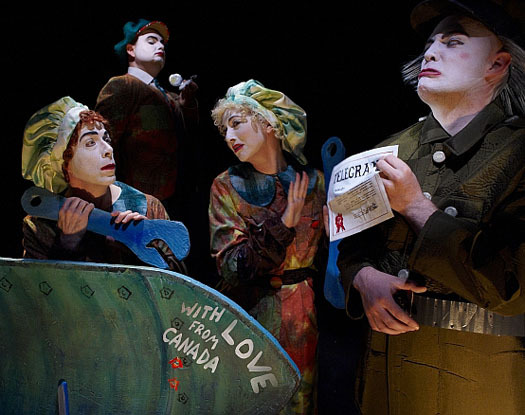 And I finally agreed with a recent Toronto Star reviewer: Going to a Hollingsworth production “after a longish absence is a bit like running into … eccentric old” friends. “They may be a bit strange but they are not strangers, and it’s great to see them again, particularly if they are in good form” (which the cast at the back of the Cameron House “Oct-Dec, 2010” certainly is). Absolutely brilliant post guys, been following your blog for 3 days now and i should say i am starting to like your post. and now how do i subscribe to your blog? FROM CW EDS: Just click on “Entries (RSS)” under “Stay informed” on the home page and take it from there (as you probably know already? ).